Posted by Ian Brodie on 4th November 2018. When it comes down to it there are three different types of network that bring you all your clients. The first network is your network of Close Contacts. These are the people you know well. The ones you could pick up the phone to and pick their brains. People you'd feel happy asking a favour of – and who would feel happy asking a favour of you. The second network is your network of Casual Contacts. These are the people you know well enough to drop an email to. Who you probably chat to online if you see them post something. Who you'd be happy to see and chat to at an event. But you wouldn't necessarily arrange to meet up with them on a regular basis. The third network is your network of Acquaintances or your Audience. Acquaintances are people you recognise and would smile at at a party. But you don't know them all that well. An audience is even more remote – it's people who know you (for example they listen to your podcast) but you don't know them. For the vast majority of us, an audience is an entirely new phenomenon. In the past only TV and movie stars had audiences. Or in the business world, the authors of well-known books or those who went out on the speaking trail. Today though we can all build our own audience – whether that's an email list or Youtube followers. Posted by Ian Brodie on 13th January 2015. Here's my bonus “Market Leadership for 2015” video looking at Value Leadership. Posted by Ian Brodie on 8th January 2015. 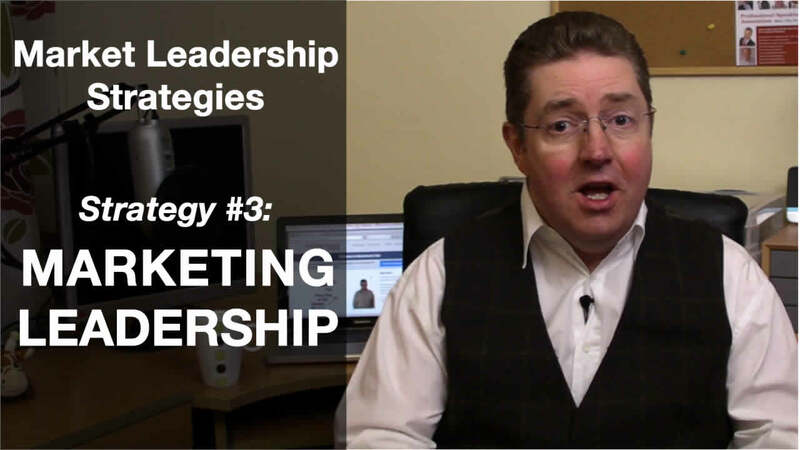 Here's the third of my “Market Leadership for 2015” videos, this time looking at Marketing Leadership. You can catch yesterday's video on Relationship Leadership here. And the first video on Thought Leadership here. Posted by Ian Brodie on 7th January 2015. 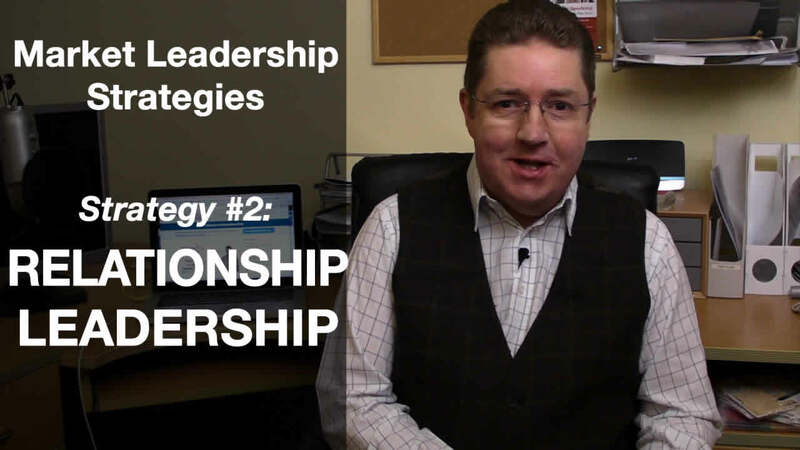 Here's the second of my “Market Leadership for 2015” videos, this time looking at the second big strategy for insulating yourself from competition and establishing yourself as the preferred partner for clients: Relationship Leadership. 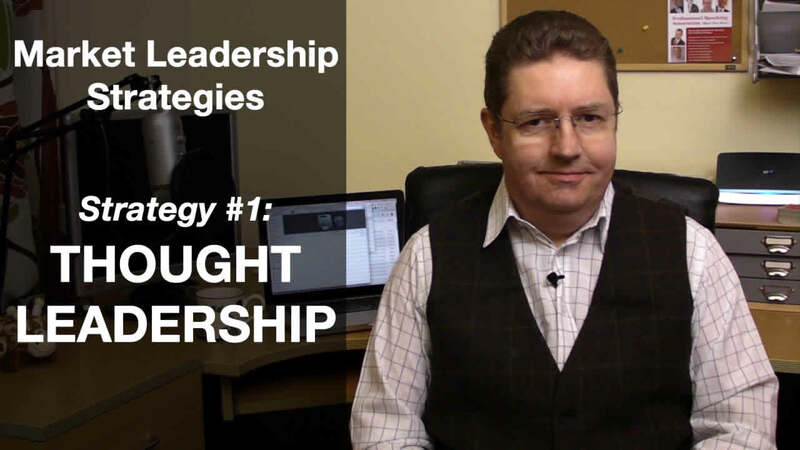 You can catch yesterday's video on Thought Leadership here and the next video on Marketing Leadership here. Posted by Ian Brodie on 6th January 2015. At the start of every year I like to set out the big themes I'll be focusing on during the year, and I share those themes in the hope that you'll find them useful in some way. In 2015 my big overarching theme is Market Leadership. As I'm sure you can guess, future blog posts, emails and video will focus on some of the practical details on how to achieve market leadership in your market. 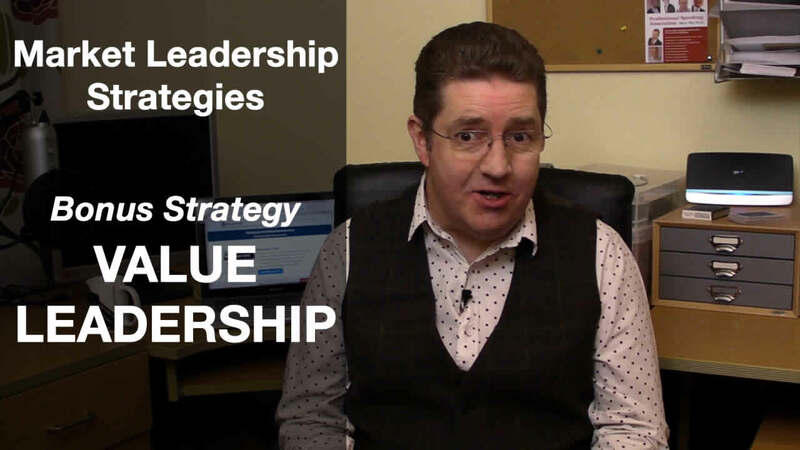 This first video of 2015 looks at the first of three big strategies I believe work the best to achieve market leadership for service and information based businesses: Thought Leadership. You can catch the next two videos on Relationship Leadership here and on Marketing Leadership here. Posted by Ian Brodie on 13th January 2013. 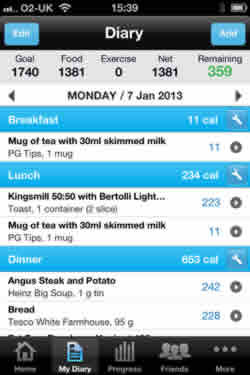 I've decided to lose a bit of weight over the next few months. And like many people, I'm using a little App for my iPhone to track my progress, what I'm eating, and how much I'm exercising. It's amazing the effect it's having already on my behaviour. Just the very fact of making my activities and my progress visible is causing me to make different choices about what I eat and drink. Posted by Ian Brodie on 27th December 2012. 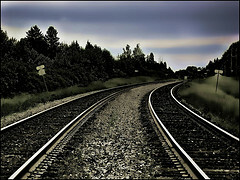 There's a fundamental principle of business that's equally as vital online as offline. And yet I've rarely heard it articulated. 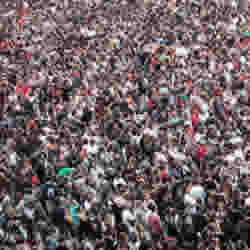 It's the principle of understanding whether you're in a one-to-many or one-to-few business. Understanding this is much more important than labelling yourself “business to business” or “business to consumer” because it fundamentally impacts the type of marketing that will work best for you. Posted by Ian Brodie on 5th July 2012. It's the holy grail of Professional Services – to become a trusted advisor to your senior clients. To be viewed – and sought out – as a source of valued advice and support. In this short video I review the key steps you need to take to become a trusted advisor and valued partner to your senior clients. Posted by Ian Brodie on 12th June 2012. It's an overused term for sure. 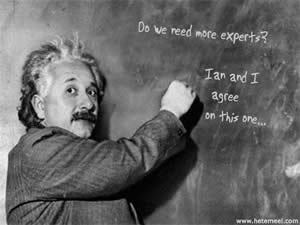 Over on Danny Brown's blog, Ryan Hanley recently railed against The Commoditization of Expertise. His argument was twofold. Partly that so many people now call themselves a “guru”, “expert” or “thought leader” that the term's become meaningless. And partly that most of these folks were just regurgitating what others have already said. They weren't creating new insights themselves. Well, I'd certainly agree with the first sentiment. If you have to call yourself a guru, or “the king of so-and-so” or “the queen of wotsit” you probably aren't. And you're being embarassing. Stop it. But I'm going to disagree with the second point. There's a great need for people who are “local experts”. Only Rosser Reeves invented the USP – but the world needs plenty of experts in it to help businesses create one (if they do it right, of course – most don't). There was only one Peter Drucker – but millons of organisations needed help in management by objectives, customer focus, decentralisation and all the other stuff he pioneered. There's only one Michael Porter, but…well, you get the picture. Ironically, Ryan illustrated his point by saying “..in his book Outliers, Malcom Gladwell theorizes that it takes a person 10,000 hours of practice to master a task”. Of course, the 10,000 hour principle doesn't come from Gladwell. It comes from Professor Anders Ericsson via Geoff Colvin and a bunch of others. Thus perfectly illustrating the point: Gladwell's not an ideas guy. He's a populariser. 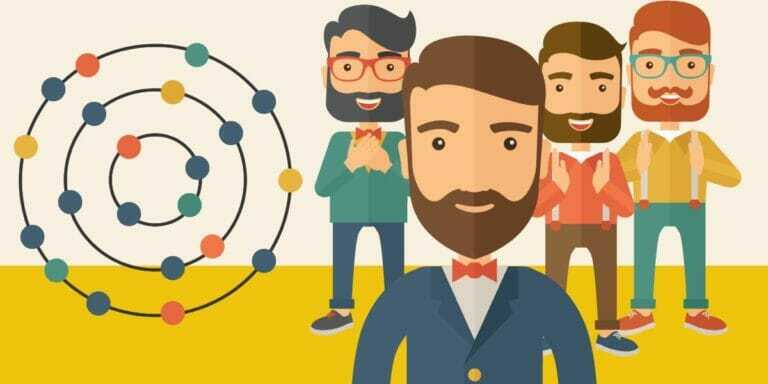 He's a type of expert in his own right – he finds out the new and interesting stuff that scientists and other “deep experts” are coming up with and makes it accessible to a broad public. And similarly, a small business in Norwich doesn't need (and can't afford) Seth Godin to come over to show them how to make their business remarkable. But they can hire a local guy who's expert enough in Godin's ideas (and others) to put them into practice. Now the local expert isn't going to earn quite as much as Seth Godin. But the world needs him too. And he'll be much better rewarded than the local guy who's not so expert. So whether they're completely original or they're popularisers, or their local implementors – the world needs plenty of experts. Posted by Ian Brodie on 21st January 2012. One of the stories I hear the most often from struggling solo professionals or small firms is that they did well for a couple of years after starting up and then just kind of plateaued. Usually what's happened is that work came in easily in the early days. Ex clients and colleagues heard they were now out on their own and sent work their way. They did a good job and got repeat business and a few referrals. But eventually, they ran out of steam. The close circle of people who knew them well enough to feel confident sending work to them ran dry or was hit by recession, retirement or other factors. Sometimes the steam runs out after 12 months. Sometimes after 18 months. Sometimes it can be as long as 2 or 3 years. But eventually it will run out, unless you start actively marketing yourself and widening your network. Clients buy for meany reasons. With clients who know you well, who like you, and who trust you and your capabilities, you don't have to do much active marketing or selling to them. But this can trap you into complacency. You see, the potential clients who don't know you so well – the ones outside your close circle – they see a different picture. They don't have that history with you. That experience that tells them you're a safe pair of hands. So they look for external indicators that you'd be a good choice to work with them. Are you a recognised leader in your field? If they google your name do they see lots of articles where you share your expertise? Are you presenting on your topic frequently? Can they find lots of testimonials saying what a great job you did? Does your website inspire them that you know the area they need help in like the back of your hand? For most professionals who've been getting all their work from existing relationships and referrals, the answer is usually no. Many of them are incredibly talented – but they've never had to showcase that talent to the world before. The clients who hired them already knew they were good. And it takes time to build your reputation. To build your website and fill it with content. To build a portfolio of testimonials, published articles and successful speaking engagements. So you need to start on this early. When you first start up the majority of your business is likely to come from people who already know you. Ex clients and referrals. You need to focus and actively work these channels. But you also need to adopt a parallel strategy of building your authority in your field. Writing, blogging, speaking. These are the things that will bring clients to you in the future and prove your capabilities for people who don't already know you. In know this from my own personal experience. I went through the exact same pattern with the business from ex clients and colleagues largely drying up after a year or so. But thankfully (and I have to admit, somewhat luckily as I'd done it out of interest rather than as a deliberate strategy) I'd been writing and blogging for over 12 months by the time that happened and was beginning to bring in leads via my website. If you're just starting your own business make sure you do something similar. Don't rely on people who already know how great you are to keep you in business forever. You need to start working on building your authority and market position from day 1.